This beautiful candlelight (soft ivory) linen blend dress is made by Bailey Boys, a leading manufacturer of classic children's clothing for more than 20 years. It features an exquisite ivory lace collar. 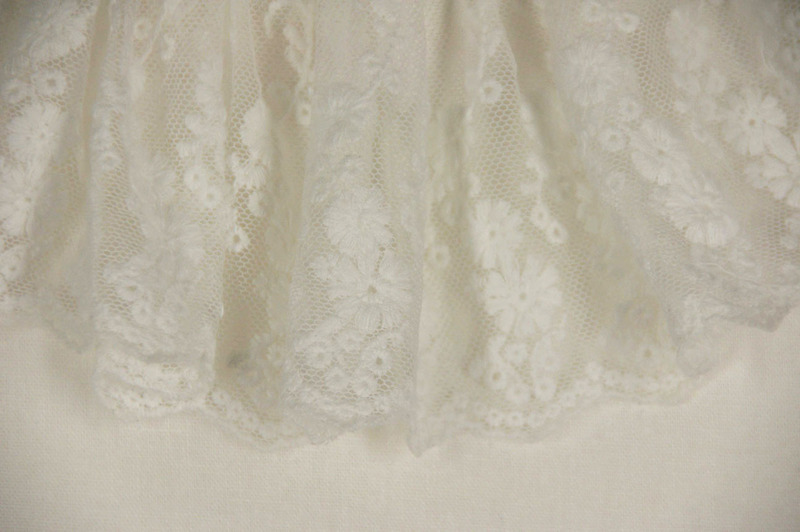 The fitted bodice has an empire waist with a tea length skirt falling in soft gathers from the high waist. 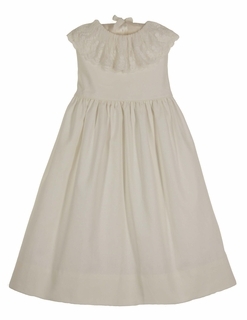 The sleeveless dress has an attached slip with crinoline layer for added fullness. 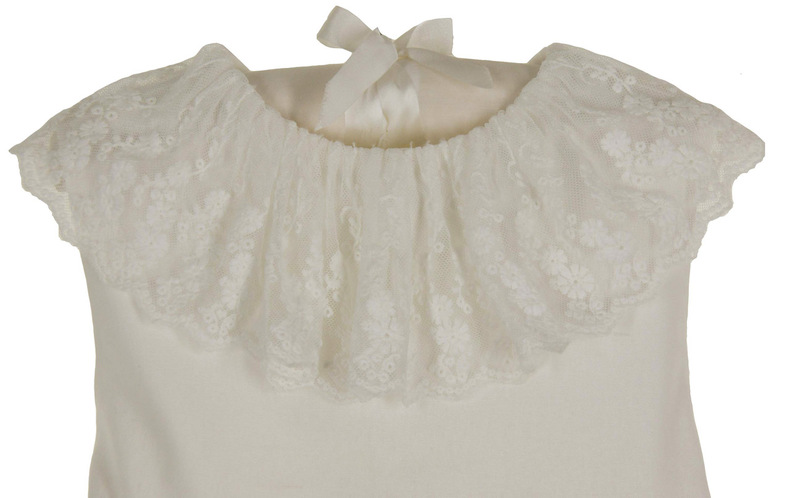 It dress closes in the back with small buttons and has a large back sash to tie in a big bow. What a lovely portrait, party, or special occasion dress for your little girl! It would also be beautiful for a christening, baptism, dedication, or wedding. 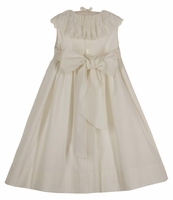 Note: Coordinating dress for baby and toddler sister and shorts set for brother are also available. See below.